Over the past decade, scientists have increasingly become ashamed at the failings of their own profession: due to a lack of self-policing and quality control, a large proportion of studies have not been replicable, scientific frauds have flourished for years without being caught, and the pressure to publish novel findings—instead of simply good science—has become the commanding mantra. In what might be one of the worst such failings, a new study suggests that even systematic reviews and meta-analyses—typically considered the highest form of scientific evidence—are now in doubt. 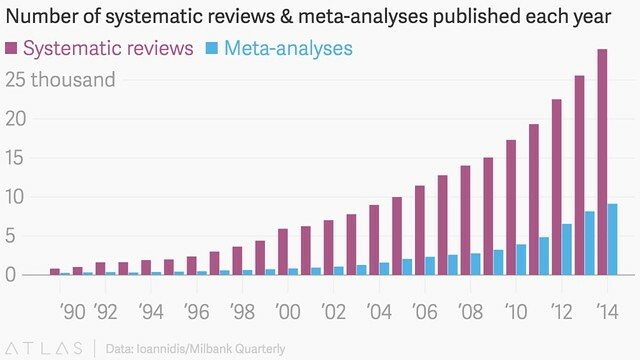 Systematic reviews and meta-analyses are statistically rigorous studies that synthesize the scientific literature on a given topic. If you aren’t a scientist or a policymaker, you may have never heard of them. But you have almost certainly been affected by them. In many way Lysenko’s theories recall Lamarck’s “organic evolution” and its concept of “soft evolution” (the passage of learned traits), though Lysenko denied any connection. He followed I. V. Michurin’s fanciful idea that plants could be forced to adapt to any environmental conditions, for example converting summer wheat to winter wheat by storing the seeds in ice. 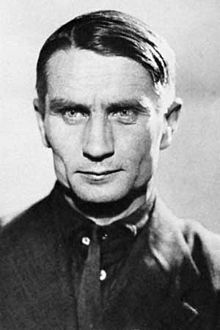 With Stalin’s support for two decades, he actively obstructed the course of Soviet biology and caused the imprisonment and death of many of the country’s eminent biologists who disagreed with him. Interestingly, some current research suggests that heretable learning– or a semblance of it– may in fact be happening, by virtue of epigenetics… though nothing vaguely resembling Lysenko’s theory.